In her heartwarming and empowering memoir, space pioneer Anousheh Ansari tells the story of her childhood in Iran and her family's exodus to America after the Islamic Revolution. After settling down in Texas, Anousheh built a computer technology firm from the ground up, which eventually realized a net worth of $750 million and ultimately allowed her to achieve her childhood dream of spaceflight. 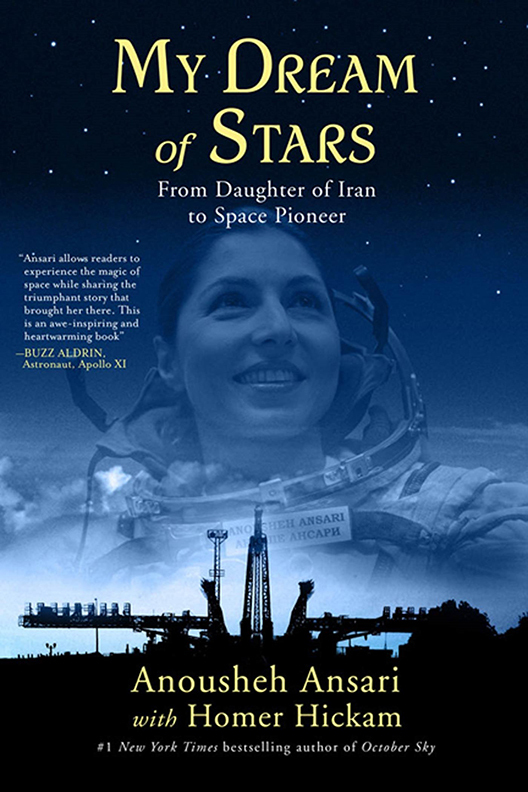 In her groundbreaking role as the first-ever female commercial spaceflight participant, her story became politicized and fraught with the prejudices and obstacles she had to overcome as an Iranian woman, culminating in a debate over whether she would be allowed to display both the American and Iranian flags on the sleeve of her spacesuit. After her return to Earth, Anousheh started The Ansari Foundation, a quickly growing nonprofit which supports social entrepreneurship, and is especially committed to ensuring the freedom of women around the world and supporting female entrepreneurs. Ultimately, this evocative story shows the triumph of a woman who has become a role model to people around the globe struggling to overcome economic and cultural barriers, as well as those dreamers who look upon the stars and wish to soar among them.